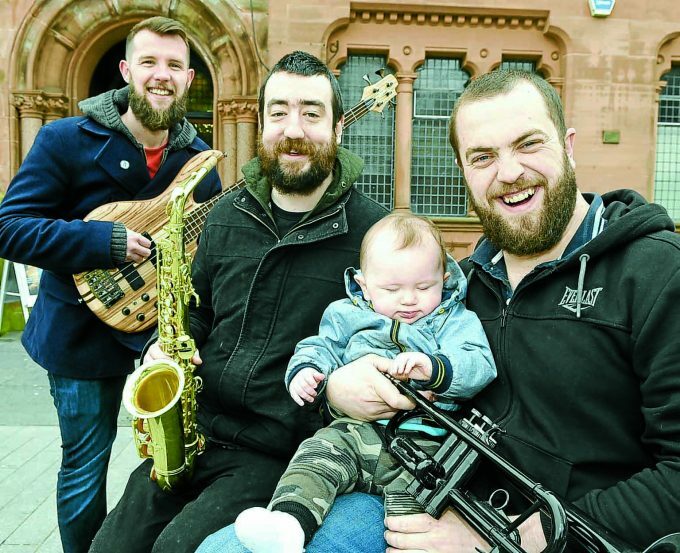 ROCKERBIE, Lockerbie’s home-grown music festival, returns next weekend for its eighth instalment. The town hall will be alive with the sound of music on April 13, thanks to five bands, including some very special guests. Organiser James Turpie said: “The main news is that local legends More From Jim are making a long awaited comeback with a one off appearance on the night. The band last performed in 2017 for a friend’s wedding, not sharing the stage together for some years before that. More From Jim’s lead singer Bob Hollis, of Annan, added: “Rockerbie is great fun, we’ve met some great people there and they bring so much energy. “We’re all excited to come and play again and, of course, enjoy all the other acts that will be sharing the stage that day. “We hope to see lots of people there joining in the fun. Also taking the stage next Saturday are the Easy Skanking Crew led by Sir Skanksalot, Guns n Rosie TRIDENT, The Ronains, The Well Happy Band and Dead Man Fall. Meanwhile, Sean Moore will be playing in-between sets. Organiser James said: “Also for the first time since Rockerbie moved indoors, we will be able to welcome slightly younger music fans on the night. The licence we have this year allows us to let in 16 and 17-year-olds as long as they are accompanied by a responsible adult. The fun begins at 6 pm. Tickets on sale now.